Riding a motorcycle can be quite thrilling, and being a member of a motorcycle club can be a fun and exciting experience. However, just as with anything else in life, there are both pros and cons to joining one of these clubs. With that said, the best way to determine whether or not you should join a motorcycle club is to weigh the pros and cons. Perhaps the best benefit of joining a motorcycle club is the brother/sisterhood that it offers. Imagine having a number of sisters and/or brothers who will be there for you no matter what the circumstances may be. Many other clubs simply do not have this type of camaraderie. Of course, an obvious benefit of joining a motorcycle club is being able to enjoy riding with others. While riding alone is fun, there is nothing better than riding with a group of other cyclists. Finally, belonging to a club with many different members can be quite helpful in learning new riding skills. 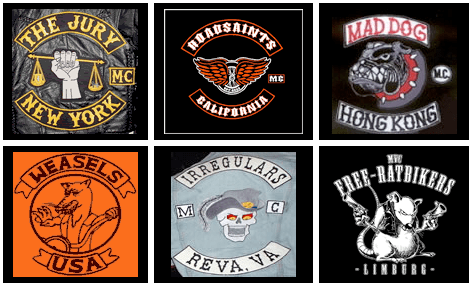 Most any motorcyclist will agree that the biggest disadvantage to belonging to a motorcycle club is stereotyping. When the general population thinks about motorcycle clubs, they see the members as rowdy gangsters who are out to do nothing more than create trouble and break the law. While this may be true for some cyclists, it is not true for the majority. In fact, most motorcycle club members are upstanding citizens and are highly respectful of the law both on and off the roads. Finally, another disadvantage to motorcycle clubs is the time that it involves. You will need to find time for such things as meetings, rides and various other club activities. Before you decide to join a motorcycle club, take a little time to consider the pros and cons first. If you do decide that joining a motorcycle club is for you, you will see that joining one of these clubs is a great way to form a close fellowship with many other people who have the same interests as you.